Among the 20 golf courses present in Delhi, The Delhi Golf Club, located next to the Oberoi hotel, is the oldest golfing club in the city. Spread over a humongous space of 220 acres, the Delhi Golf Club shares space with various interesting tombs and monuments in the vicinity. 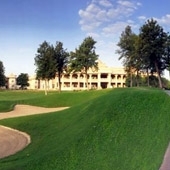 The Delhi Golf Club has a restricted membership and golfers are allowed to play either on an 18-hole course or adjacent 9-hole executive course. 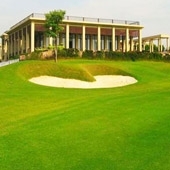 Besides the Delhi Golf Club, there are various other golf courses near Delhi such as the Classic Golf Resort, the Golden Greens Golf and Country Resort, and Jaypee Greens Golf Resort. Set amidst 450 acres of humongous space, Jaypee Greens Golf Resort & Spa features 170 room luxury-designer resort, 7 fine dining restaurants, an exotic kid’s zone and an award winning spa-Six Senses. The brain child of world renowned golf course designer ‘Jack Nicklaus’, Classic Golf Resort features a 9-hole course of 3135 yards, 18-hole course of 7114 yards, a social club and a sports complex. Located in the heart of Tarudhan Valley, Seasons Hotel at Tarudhan Valley is a 4 star property in Manesar. Besides a 9-hole golf course, the hotel features a pool, spa, restaurants and conference room.